Through 2016 I was working on a very secret squirrel project with my sewing partner in crime - Claire Turpin. Together we were working on creating the feature Block of the Month for Homespun Magazine. 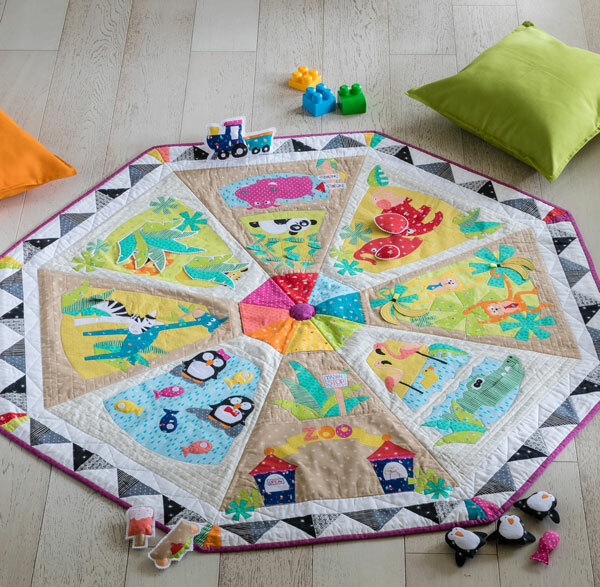 This was a super exciting project to be able to work on and a great way to express our combined creativity to create this Child's Playmate/Quilt. The inspiration behind the project was all about "Going to Zoo" so we set about firstly deciding upon which animals we would feature and how we could put all these together in an interesting and new way. We developed the concept for the Octagonal Play mat as an interactive and fun quilt that any child would not only love to have but could actually play and be imaginative with it. The quilt features lots of poplar animals that we have brought to life with Applique and by using interactive elements for the kids to play with. The Playmate also draws up to become a bag so that the fun can be taken anywhere you like. Featuring Lecien Modern L's and Minny Muus from Lecien Fabrics, these fabrics are fun, bright and help to bring that unique element to this BOM as we hoped. The Homespun "Going to the Zoo" BOM runs from the February issue through to November and we will along the way show you some Tutorials and other inspired creations to make. Homespun is available in Australia at all good Quilt/Craft stores, Newsagents and Target stores. Digitally through Zinio, the Apple Newsstands or google Play for all our overseas friends who would love to sew along with us. There is a big lists of stores in Australia and New Zealand who will be stocking kits to make. 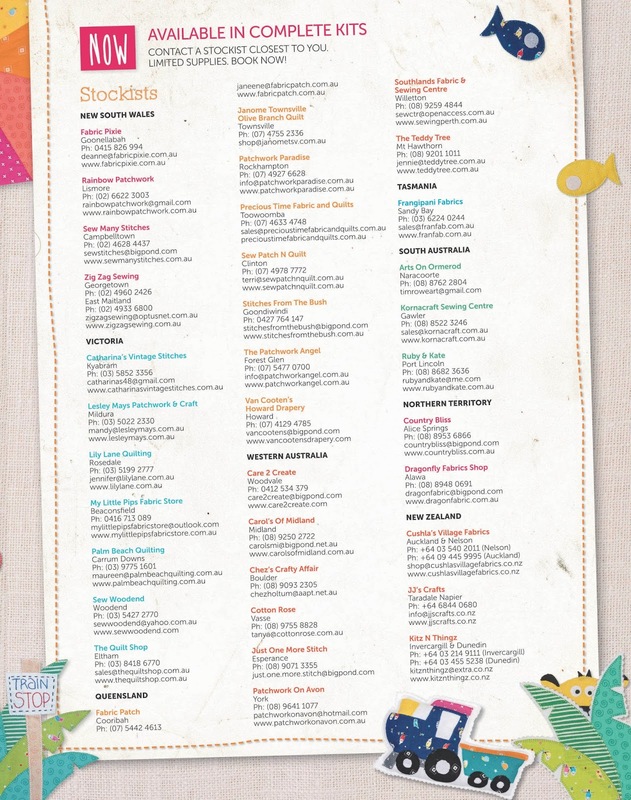 You can check out the list below for the store closest to you.